Guests are greeted by a grizzly when they enter Tonopah Station on Highway 95 in Nevada. 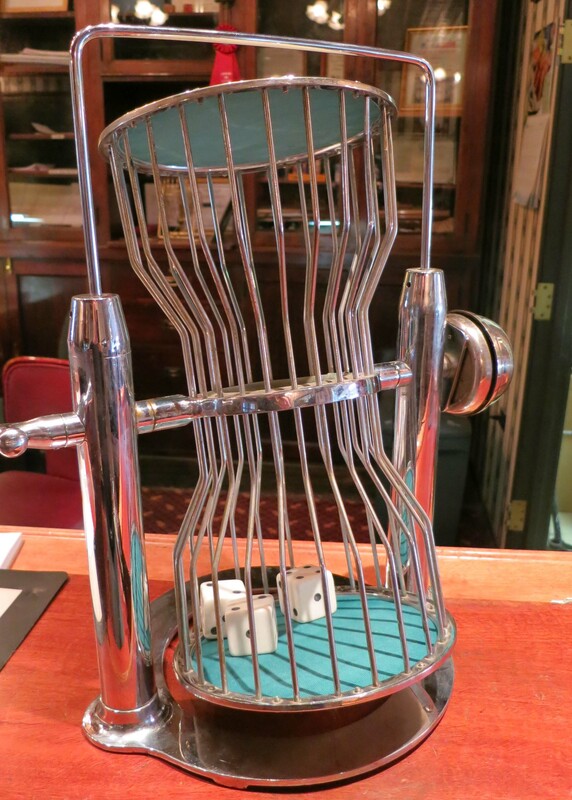 We rolled the dice at Tonopah Station to see if we would win a free room. It’s been a tradition at the old motel for as long as Peggy and I have been travelling up and down Highway 95 through western Nevada. Neither of us came up with the required three matches so we forked over 60 bucks. We rolled the dice at Tonopah Station. Three matches meant a free room. Lady Luck looked the other way. 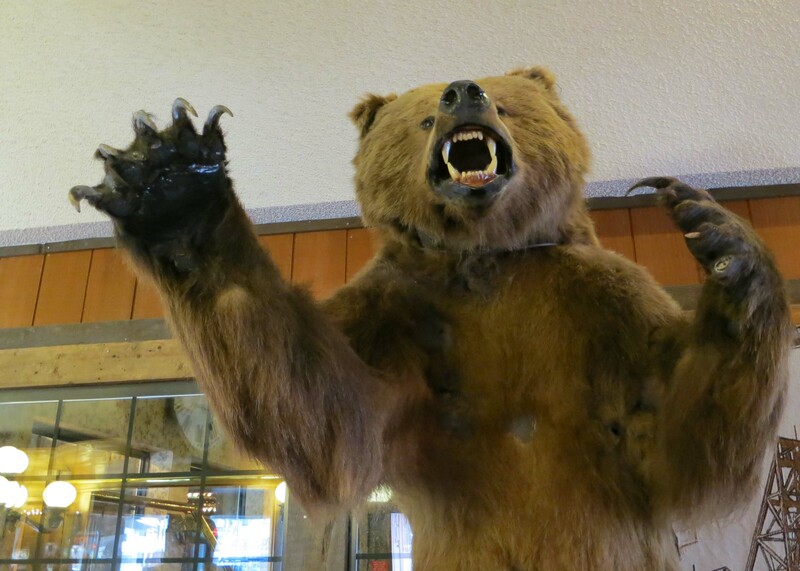 The motel is filled with memorabilia of the Wild West including the grizzly bear above. It is also filled with the characters that live in the old mining town and stop by to gamble, have a drink or eat at the Café… where Missy waited on us. 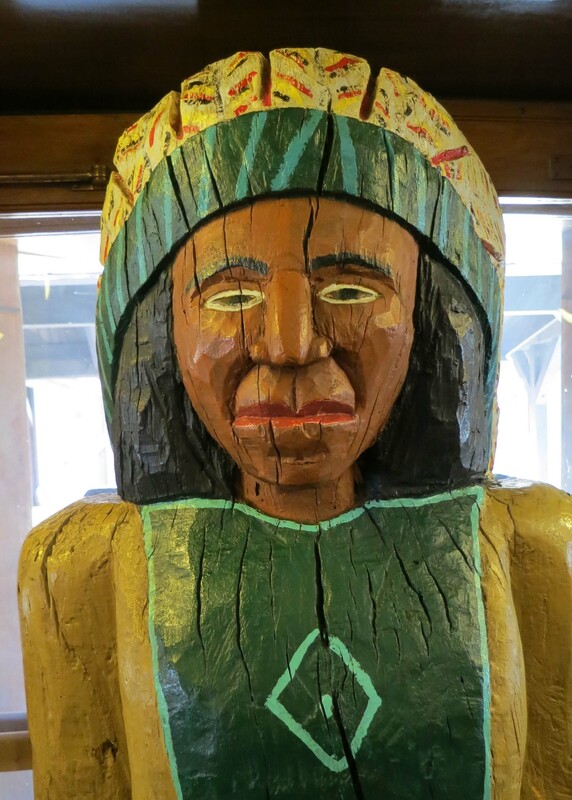 Betty Boop, the Mona Lisa, and this wooden Indian were all part of the decorations at the Tonopah Station. 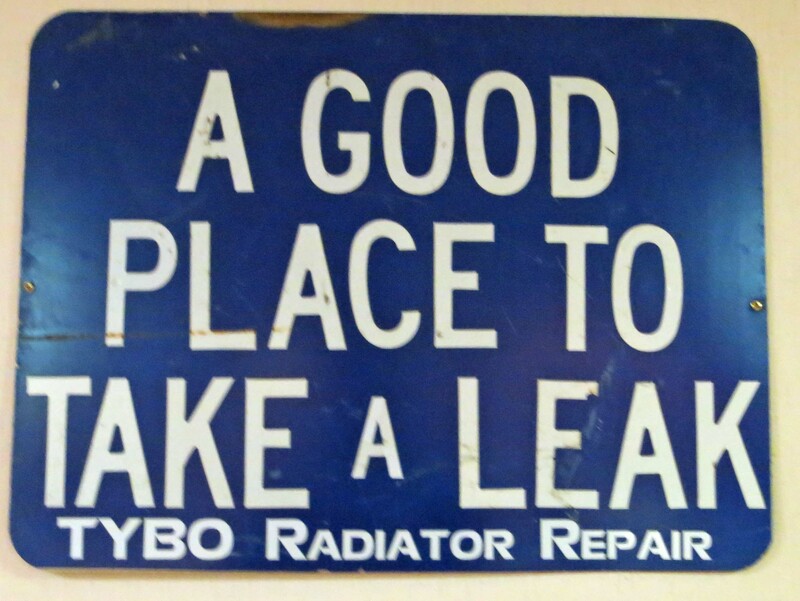 As was the old ad for a radiator shop. But towns are an exception for Nevada. Most of the land is made up of the Big Empty. There is raw beauty hiding out in the deserts. It’s available to anyone who is willing to wander. Most people zip through the state on freeways at 70 MPH plus on their way somewhere else (anywhere else) or spend their time in Las Vegas or Reno investing hard-earned cash in Nevada’s economy. A common view in Nevada of empty roads and distant vistas, which are often quite scenic. But where’s the UFO? 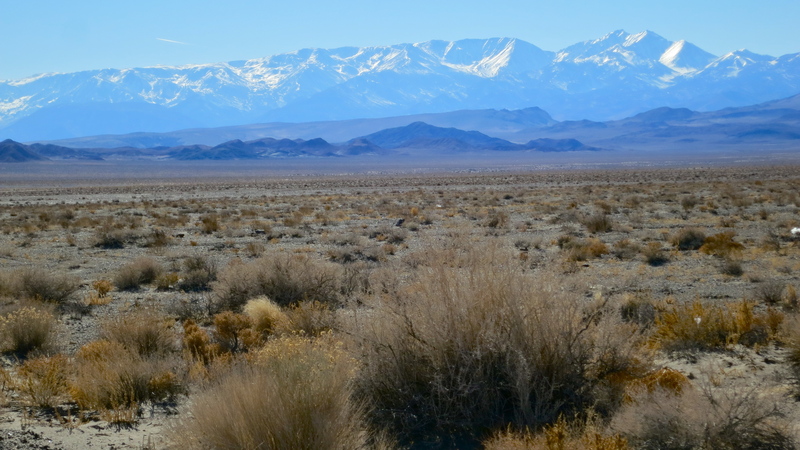 This photo includes a view of the Sierra Nevada Mountains from Highway 95. Over the years I have travelled over most of Nevada’s (paved) back roads. I’ve even ridden across the state on a bicycle. It’s wide-open country filled with mountains, valleys and distant vistas. Much of the state is made up of government-owned lands with a substantial share dedicated to military purposes like bombing jackrabbits. Once upon a time, Nevada was even used for atom bomb tests. I can still remember getting up at 4 am in the 1950s at our home in the Sierra Nevada foothills and watching as the whole eastern sky was lit up by an atomic bomb blast. Those days are long gone, however. Today Nevada is fighting against becoming the nation’s nuclear waste dumpsite. 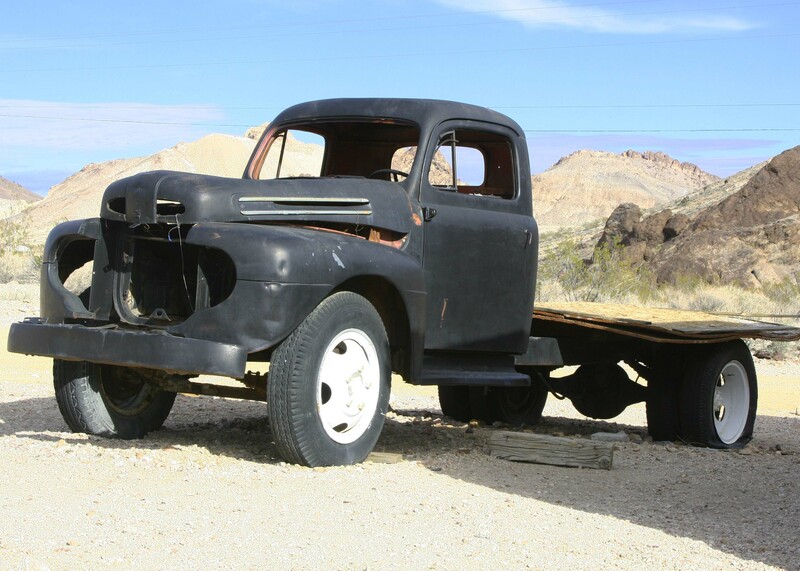 Driving down Highway 95 provides other views besides old mining towns, military installations and wild beauty. An occasional cat house makes an appearance… usually consisting of a beat up trailer under a fancy sign. Prostitution is legal in Nevada. The ultimate prize for sightseers however, is an illusive UFO. This is the land of Area 51 and the Extraterrestrial Highway. Peggy and I keep our eyes peeled. 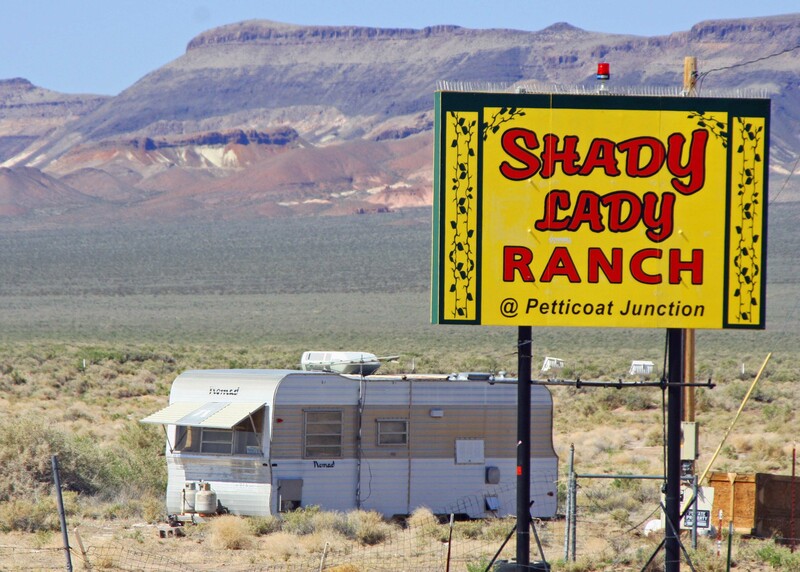 Prostitution is still legal in Nevada and several “cat houses” are located along Highway 95. An early day gift certificate? 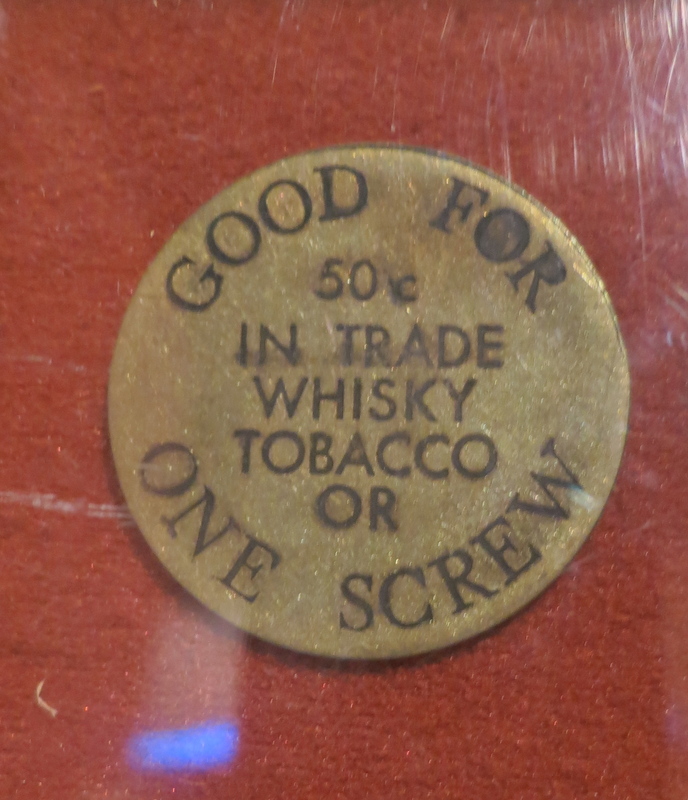 Tokens were commonly offered for services at early day Nevada whore houses. I found this sample at the Clark County Museum. Thanks… Nevada really is a beautiful state… but strange. When I drove from Cali to the east coast (too many years ago) I wanted to go through Nevada but a car full of kids changed that plan.. I would like to drive those lonesome roads and the mountains are gorgeous.. Think that idea of rolling the dice for a chance at a free nights stay is clever-cool! I’ve always found the dice idea fun… a clever way to advertise. Tonopah Station has always included it on its billboards. 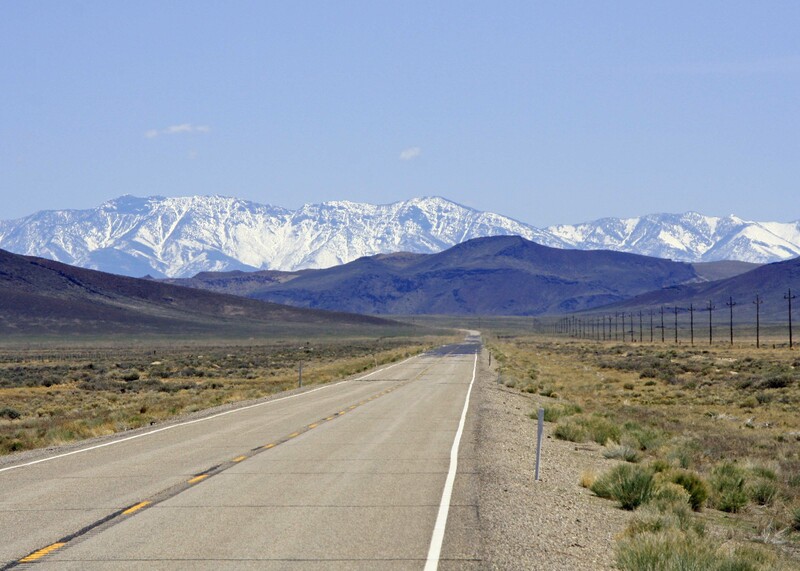 Highway 50 across Nevada likes to claim it is the “Loneliest Highway” in America. And nevada has more lonely highways!